What are your membership prices? We have all types of memberships ranging from $90-$192. Whether you are wanting a family membership, grandparent membership, or a daycare membership, we got you covered! You can pay monthly (minimum of one year commitment) or annually. Check out our rates and benefits of being a KACM member! What are your prices for a day pass to play at the children’s museum? Of course we do! We think gift certificates are the perfect Christmas and birthday present for a family! They already have enough STUFF so why not give them a gift that they can use EVERY DAY?! We love gifting the gift of family experiences. Stop by the museum or call us to purchase a gift certificate. What kind of special events do you offer? We are a host site for field trips, birthday parties, camps and classes, Free Family Fun Nights, and awesome special events! KACM is here to engage families in innovate exhibits, special events, and educational programs all year long. We aren’t a daycare but do offer some fun Friday night events that parents can drop off their children and enjoy a night of kid-free time. Feel free to check out our Kids Night Out events on the second Friday of every month! We believe we are the perfect spot to host a child’s birthday party! Invite up to 20 of your closest friends and family to play with you at the museum all day. Get an hour in our private party room complete with tablecloths, centerpieces, tableware, and lemonade to complete the scene. The birthday child will also receive a special crown! Feel free to rent the museum AFTER HOURS for exclusive access to everything we offer! We even made it easy for you so you can schedule your birthday party online! Do you have discounted prices? We want ALL families to be able to experience our children’s museum so we do offer a 20% military discount on admissions. In regards to memberships, we discount our normal $90 family membership to $12 for families that are on WIC, the Free Lunch Program, or enrolled in Early/Head Start. They must bring proof of documentation to the museum to qualify for our $12 Sharing & Caring membership. What ages is the museum geared for? Our primary audience of kiddos is 0-7 years old but we offer activities for children up to the age of 12. Whether they want to enjoy our toddler area, need to be nursed in our Mother’s Room, or are wanting to work on circuits and program their own robotics, we have a space for them! We are continually adding spaces for those older kiddos in our exhibits so they don’t get bored when their younger siblings are having a blast. We are located at 5827 4th Ave. Kearney NE 68845, directly behind Slumberland. No we don’t offer daycare services but we do have camps and events that you can drop-off your children! Yes it is. We are one floor and one big circle with adequate space for moving around with a wheelchair. What kind of exhibits do you have? 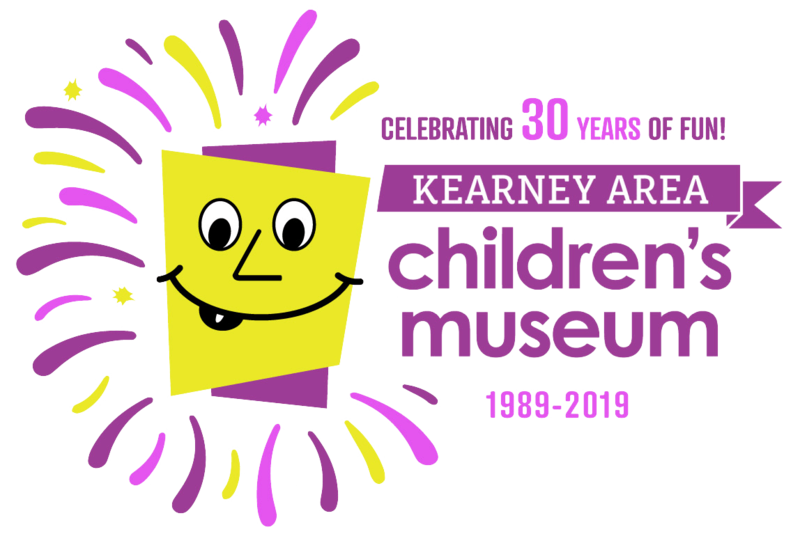 We are proud to offer more than 20 interactive exhibits that cover a wide variety of interests that include an art studio, science center, train depot, grocery store, fire station, toddler area, performing arts, water zone, and agriculture area. Guests have the opportunity to explore at their own pace and are invited to touch, push, pull, build, and play with every exhibit. We also have a room for mothers to breastfeed their babies. Don’t forget to shop at our Gift Shop area before you leave! We have a great selection of Melissa and Doug toys that are great for travel and family roadtrips.